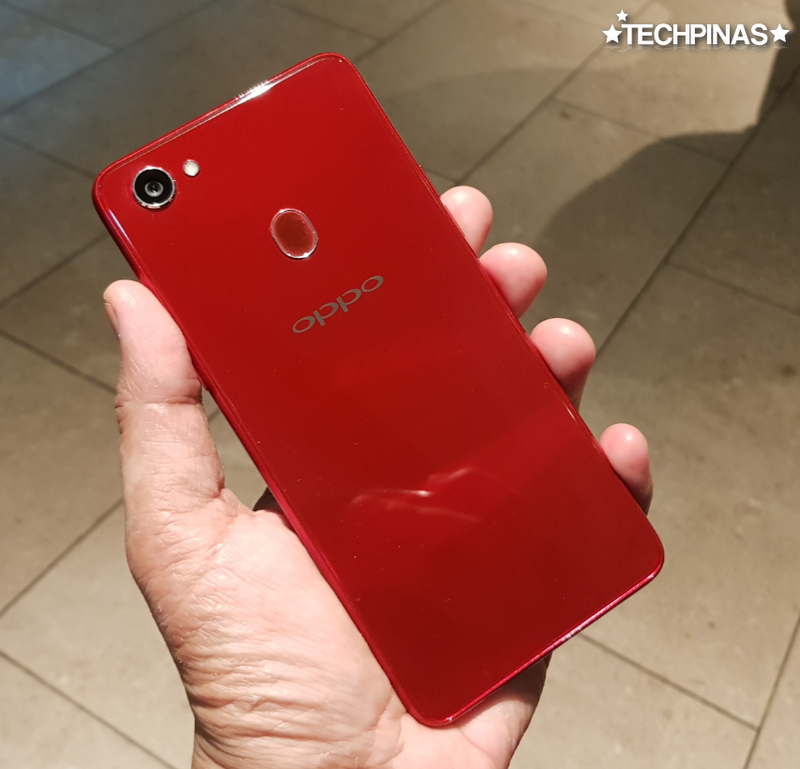 The first 2018 hero smartphone of OPPO Mobile here in the Philippines has just been officially announced by the Chinese company. 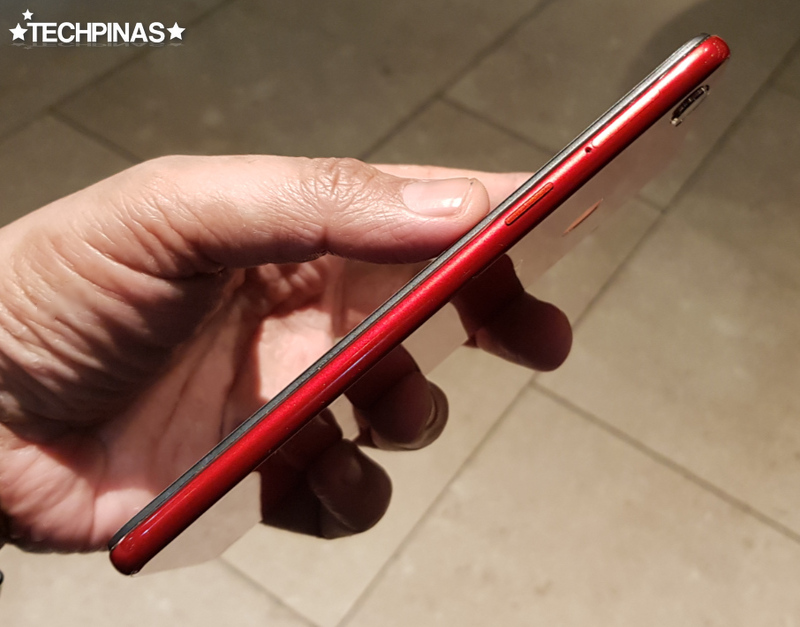 The all-new OPPO F7 officially supersedes the best-selling OPPO F5 as the brand's new flag-bearer and as such, this fresh release offers stellar enhancements both outside and in coming from its predecessor. In this post, I'm going to give you seven reasons why I think mid-level consumers who love to take selfies should consider getting this new model. Let's jump straight to the list. 1. The display is beautiful. 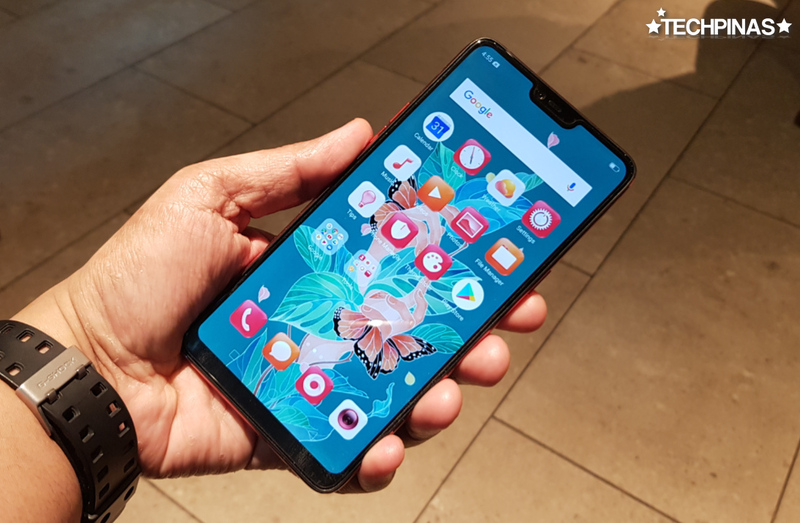 OPPO F7's 6.23-inch Full HD+ LPTS display, which covers almost the entire face of the device, looks incredible regardless of the viewing angle. Colors are brilliant and details appear really crisp. Whether you're browsing photos or watching movies, you will surely enjoy doing it on this handset. 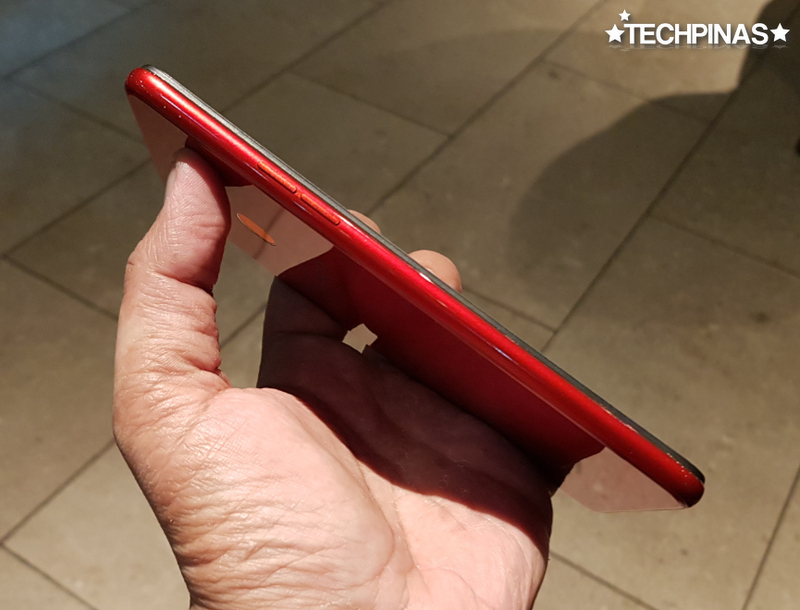 Sure, the screen has a controversial notch, which some people like and some don't. 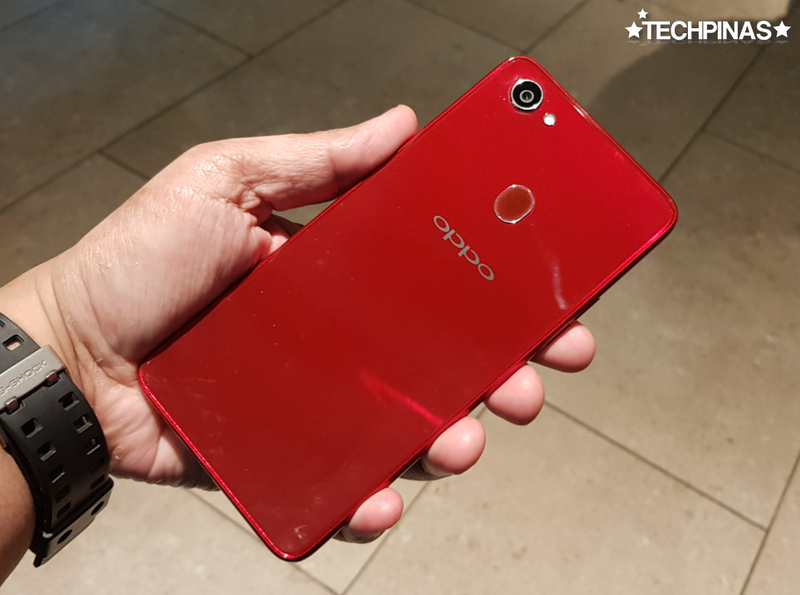 However, what's good is that OPPO actually made it useful by incorporating software features into it that can help in improving user experience in certain applications. 2. OPPO F7 has the highest resolution front-camera for selfies. That's right! OPPO F7 sports a whopping 25 MegaPixel front-facing camera with f/2.0 aperture for enhanced low light performance. With this innovation, OPPO is now leading the pack in terms of selfie-shooter resolution. This is a clear proof that the company remains to be the true Selfie Expert. 3. OPPO's AI Beauty Software captures the real you. More than giving you the clearest selfies, OPPO also wants your selfies to actually look like you. Usually, too much beautification effects and skin clearing can result in self-portraits that no longer look like the subject. Thanks to OPPO's very own AI Beautification imaging software that automatically figures out the age, race, gender, and skin type of the user, OPPO F7 is capable of "capturing the real you" while improving your unique facial features to give you great-looking selfies that are instantly ready for sharing on social media. 4. The design is absolutely stunning. 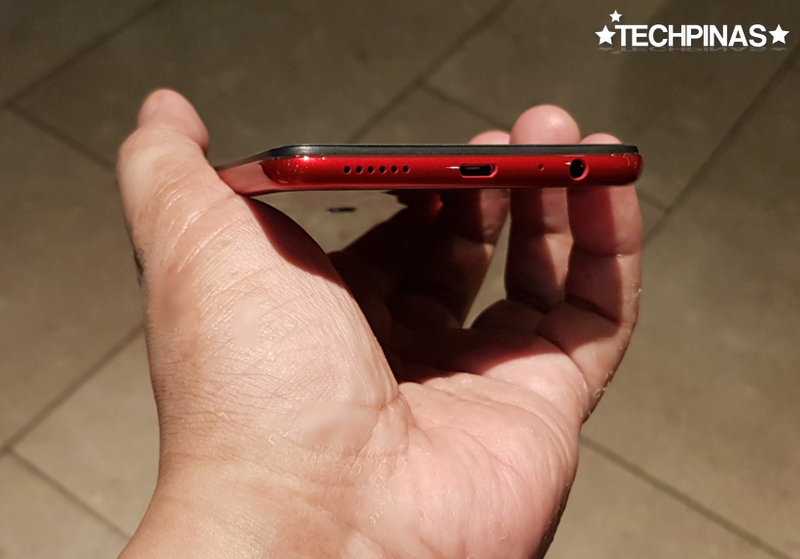 The first time I saw and held the OPPO F7, I was smitten. The elegant gleam of glass front and back panels, the metallic sheen of the mid-frame, and the ultra-slim build truly make this model a head-turner. 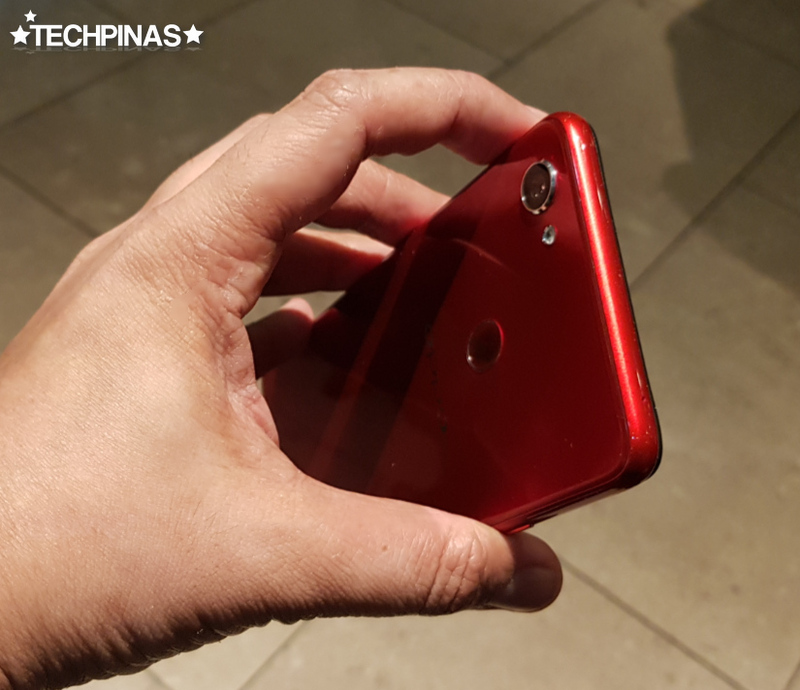 The Solar Red version, in particular, catches the attention of on-lookers instantly and leaves a good impression on those who will hold it in their hand. 5. The rear camera performs well in low light. OPPO F7 is equipped with a 16 MegaPixel f/1.8 camera at the back replete with phase detection autofocus. Although it has lower resolution compared to the front-shooter, this one is nonetheless very reliable in snapping images in various lighting conditions. The very wide aperture, to be specific, allows it to snap crisp photos indoors or in settings where there's little ambient light. 6. The internal hardware are more than capable. MediaTek's Helio P60 chip boosts performance when running demanding apps and its integrated Mali-G72 MP3 GPU boosts games up to 70% compared to previous generation P series by the company. The CPUs and GPU require plenty of memory bandwidth, so this chipset provides up to 8GB of ultra-fast LPDDR4X at 1,800 MHz, resulting in smooth and stutter-free gaming and overall touch experience. 7. Battery life is good. OPPO F7 is powered by a non-removable 3,400 mAh Li-Ion battery pack, which is slightly larger than that of OPPO F5. But more than that, this new model's processor is specifically crafted to be energy-efficient all while bringing a notable performance boost. Helio P60 comes with MediaTek CorePilot 4.0 that provides Thermal Management, UX Monitoring and Energy Aware Scheduling that enables a sustainable, high performance mobile experience. As a result this chip is up to 12% more power efficient than its predecessors in the P-series. Of course, these seven reasons merely scratch the surface of what this amazing 2018 release is capable of delivering. 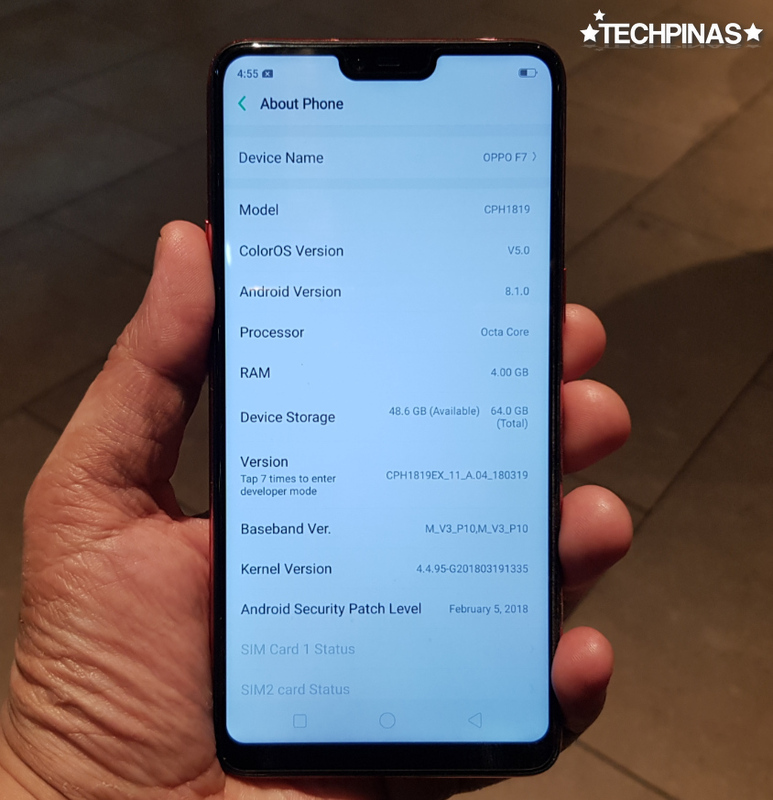 For instance, OPPO F7 even has a slew of reliable security features including its Fingerprint Scanner and Facial Recognition to add a veritable later of privacy for the user's content. I'll talk about that as well as other notable features that I'll discover in the coming days in my full review of this device -- so kindly stay tuned. 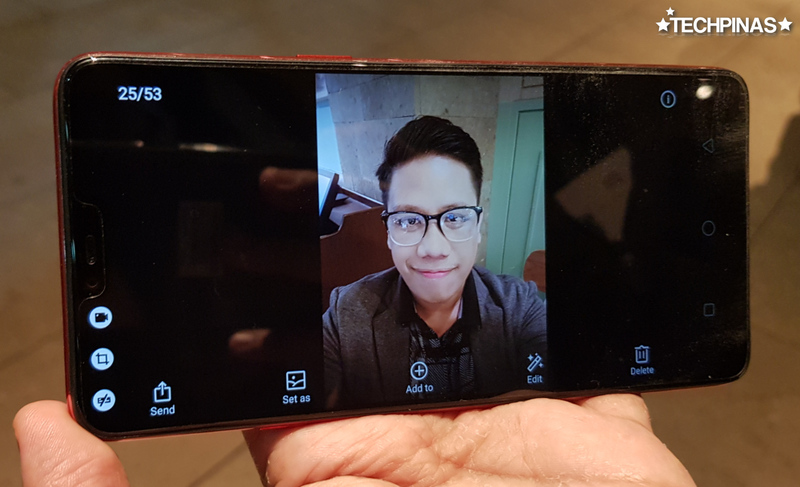 For now, I can confidently say that I'm highly recommending the OPPO F7 for Selfie-Loving Pinoys who are on the hunt for a new Android smartphone that gives great value for money. Priced at Php 17,990 and set to hit store shelves across the country within April 2018, the OPPO F7 is another stellar release by the Chinese tech giant that's certainly worth purchasing as your daily driver as well as work-and-play companion. 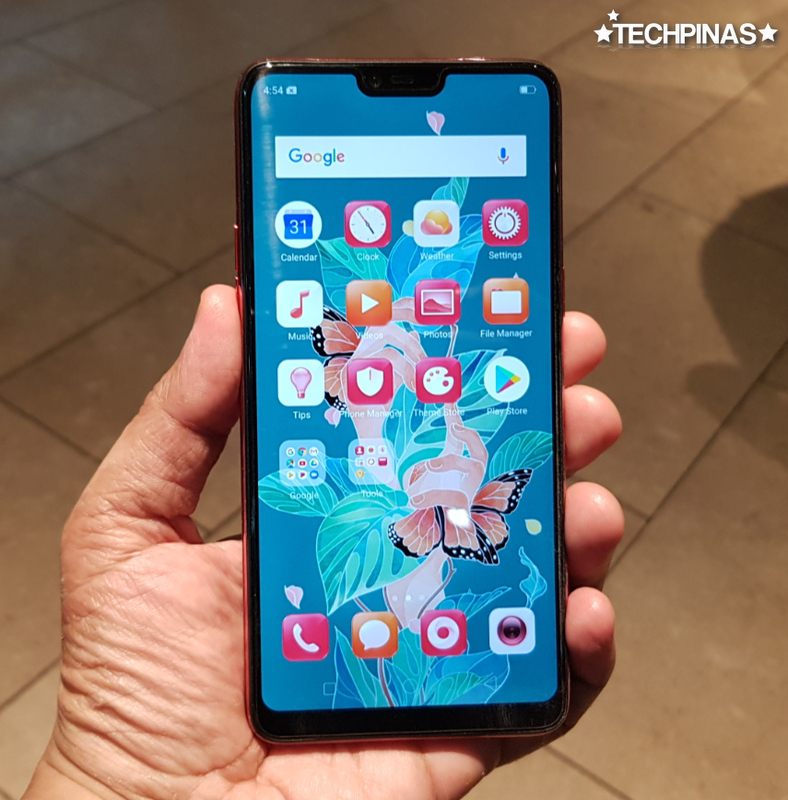 TechPinas Key Remark Gorgeous and powerful, the OPPO F7 currently has the highest resolution front-facing camera of any smartphone out in the market.